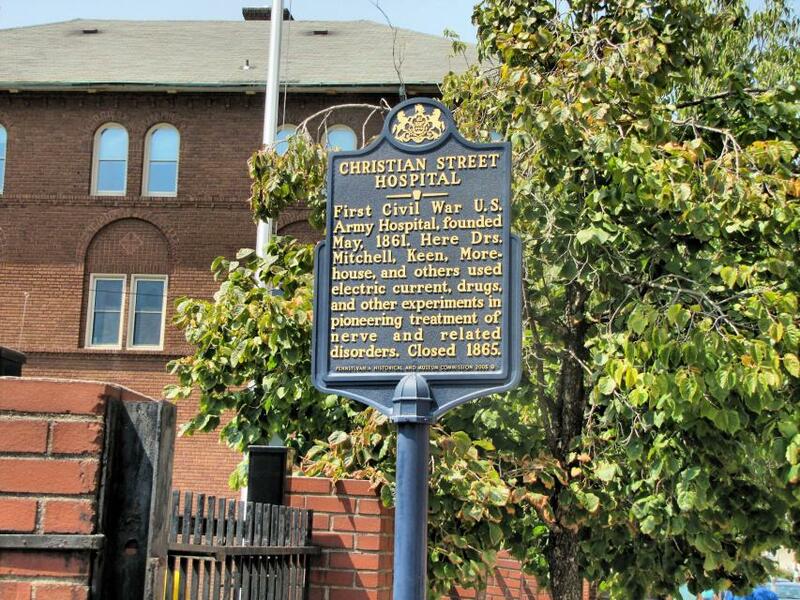 First Civil War U.S. Army Hospital, founded May, 1861. Here Drs. Mitchell, Keen, Morehouse, and others used electric current, drugs, and other experiments in pioneering treatment of nerve and related disorders. Closed 1865. This marker can also be identified by its HM code. You can use the hashtag #HM1JNB in tweets, and any other place where you might refer to this marker, including when searching on this site.